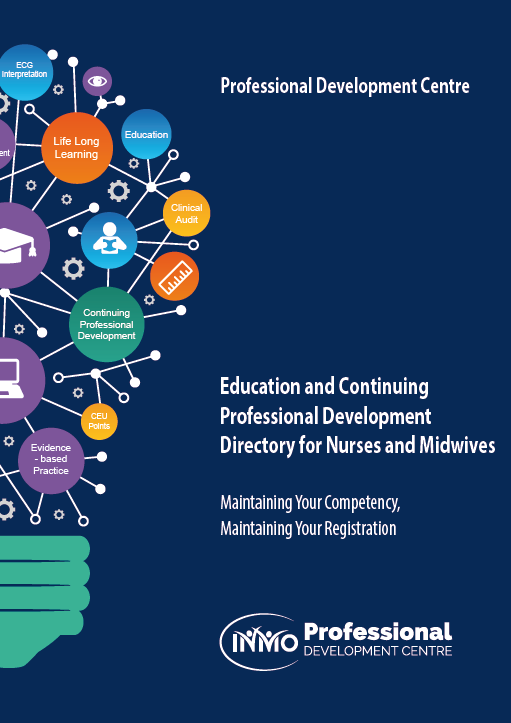 Launching at this years ADC: the new edition of the Education and Professional Development Directory for Nurses and Midwives. Welcome to the second issue of our INMO Professional e-newsletter, which has been produced to keep you informed on news, research, education and information from the Professional Development Centre (PDC). In this issue we celebrate the nursing and midwifery professions as Elizabeth Adams, Director of the Professional Development Centre, writes on the importance of the International Day of the Midwife and International Nurses Day. The PDC’s Course Co-ordinator highlights the newly developed dementia education programmes running in 2015 and provides information on onsite education. Our Section Development Officer highlights upcoming Section workshops including the GP Practice Nurses and Clinical Nurse and Midwife Managers Section education workshops, as well as upcoming national conferences. The Library reports on key literature nationally including new midwifery standards and the Emergency Taskforce Report. This is just a flavour of the educational programmes and services provided by the PDC. At this year’s Annual Delegate Conference (ADC) a new edition of the Education and Continuing Professional Development Directory for Nurses and Midwives will be launched. This directory provides a complete suite of the educational programmes provided by the PDC as well as information on the services to support nurses and midwives. This will be available to download from the INMO Professional Website (inmoprofessional.ie) shortly. Elizabeth Adams, Director of Professional Development, in a recent article in the WIN Magazine featured the international annual celebration of the nursing and midwifery professions. The International Confederation of Midwives (ICM) celebrated the International Day of the Midwife on the 5 May with the launch of the annual campaign to highlight the important contribution that midwives make globally. The Midwives Section of the INMO is a member of ICM and works closely in collaboration and partnership with the Confederation to promote, support and drive the strategic direction of midwifery practise and celebrate the value of midwives. The IDM is an occasion for every individual midwife to reflect on the difference midwifery makes globally and to make new contacts within and outside midwifery. In the years leading up to 2015, ICM is using the overarching theme “ The World Needs Midwives Today More Than Ever” as part of an on-going campaign to highlight the need for midwives. ICM has developed a new resource pack to support all midwives in planning their own IDM event. It is available on the ICM website with use and distribution is encouraged. The materials include ideas, tools and information to promote midwifery with a set of messages and images for use, plus suggestions of how you can leverage the media and highlight local activities. Nurses worldwide celebrate International Nurses Day on May 12 (the anniversary of Florence Nightingale’s birth), which has the theme: ‘ Nurses: A Force for Change – Care Effective, Cost Effective’. According to Judith Shamian, president and David Benton, chief executive officer, "the theme reflects the International Council of Nurses (ICN’s) commitment for action to strengthen and improve health systems around the world. It leverages the contribution that nurses can make and acknowledges that nurses are closest to those requiring health services and therefore have a significant influence on reducing health costs and increasing quality of care". The International Council of Nurses, of which the INMO has been a member since 1925, commemorates this important day every year with the circulation of the International Nurses’ Day (IND) Kit. This year’s IND Kit provides valuable information on health system financing and the importance of providing effective quality of care for patients given current budget restrictions and rising costs. It is designed to be used by nurses around the globe throughout the year. Extracted from Adams, E. (2015), International celebrations of the professions of nursing and midwifery, World of Irish Nursing & Midwifery,23(3) June. The INMO Professional Website (inmoprofessional.ie) earlier in the year launched its online booking facility for all educational programmes and events. Nurses and Midwives, once registered, will have a username and password to access the website. When signed in to the website the nurse/midwife can book courses securely using a debit/credit card. A facility is also available on the website to allow users to access their personal profile, including the facility to track upcoming and completed continuing professional development events. Currently there is a 10% introductory discount for all PDC programmes booked before the 30 June 2015. Go to the INMO Professional Website or contact the PDC on 01 6640641 for further details. HIQA announced that they will be focussing their attention on dementia in 2015. With this in mind the INMO PDC have developed two new education programmes concerning the topic of dementia and HIQA thematic inspections. This one day programme is designed to prepare and enable participants to implement regulations and standards within person centred dementia care thematic inspection criteria (HIQA, 2015). The programme outlines national standards and regulations, thematic expected outcomes and how these apply to person centred assessment, care planning and evaluation. In addition, this interactive day includes case studies, DVD analysis and group work aiming to enhance participants’ knowledge of meeting clear criteria in resident safety, therapeutic activities, effective communication, advocacy and consent. This programme aims to empower and enhance the nurse’s knowledge and skills. This one day programme is designed to prepare and enable nurses to implement effective care planning for a resident who is diagnosed with dementia or cognitive impairment in line with regulations, standards and Health Information Quality Authority (HIQA, 2015) thematic inspection criteria. This one day programme assists the nurse in linking and applying their knowledge of an integrated approach to patient care, inclusive of the patient having a right to equity, dignity and respect; as well as having a voice in their care plan. The programme outlines national standards and regulations, thematic expected outcomes and how these apply to person centred assessment, care planning and continuous evaluation. This programme aims to enhance nurses knowledge and skills that can improve individualised care planning for clients with dementia in their facility. The focus is on providing practical strategies in meeting individualised care planning across all activities of living for a person with dementia within the HIQA (2015) thematic criteria. The Professional Development Centre successfully delivers onsite education throughout the country each year. Onsite education is a more cost effective solution as our fees are based on ‘per day’ rather than ‘per head’ which makes our training affordable and available to all. We currently have over 70 tailored education programmes. They include a range of one and two day continuing professional development (CPD) opportunities that are Category 1 approved by the Nursing and Midwifery Board of Ireland (NMBI), with Continuing Education Units (CEUs) awarded to each event. All course packs and materials are provided and the courses are run by our highly skilled facilitators, who are experts in their fields. Each participant on completion of a course is awarded with a certificate that is Category 1 approved by the NMBI with CEUs. Your requirements will be discussed in advance to ensure that your choice of programme is customised to your specific needs. If you are interested in onsite education, which ensures that training is designed around your needs, contact Marian Godley, Course Co-ordinator on 01 6640642 or email: marian@inmo.ie. The INMO’s Annual Occupational Health Nurses Conference will take place on Wednesday 20 May 2015, in the Maryborough House Hotel, Cork. This year’s theme is “Common Conditions and Trends in the Workplace ”. This years keynote address will be on the topic of “Healthy High Performance - Embedding Resilience and Wellbeing in a Large Organisation” by Dr David Roomes, Chief Medical Officer, Rolls Royce, UK. GP Practice Nurse Section - Preparing for HIQA Inspections within Practice Nurse Settings. On Saturday, 23 May 2015, the GP Practice Nurses Section are running a workshop on the theme of HIQA inspections in the INMO HQ. This one day programme aims to assist practice nurses to identify strengths and challenges within their practice services using the National Standards for Safe Better Healthcare. Clinical Nurse and Midwife Managers Section Risk Assessment Workshop. On Saturday, 6 June 2015 the Clinical Nurse and Midwife Managers Section will be running a workshop on the topic of Risk Assessment from 10am - 2pm in the INMO HQ. This course is aimed at equipping clinical nurse/midwife managers and staff nurses/midwives with management skills. Key topics include: management principles; decision making; team building; motivation of staff; and managing different skill mixes. For further information please contact Jean Carroll, Section Development Officer, on 01 6640648 or e-mail: jean@inmo.ie. The INMO PDC Library is dedicated to keeping members up-to-date with the most recent and relevant nursing and midwifery related information. Below are a number of new or important reports/research/guidance documents on a range of topics. Select a topic from the Library Topics menu to go straight to the relevant document or else browse through the documents below. For further information on the library please log on to the INMO Professional website. Health Service Executive (2015) Emergency Department Task Force Report, HSE. In December 2014, Minister Varadkar convened the Emergency Department Taskforce to provide focus and momentum, and to develop sustainable long-term solutions to ED overcrowding. On 2 April, 2015, with Minister Lynch, Minister Varadkar announced additional funding to tackle Delayed Discharges and ED Overcrowding and published the Taskforce Action Plan. The Plan sets out a range of time defined actions to (i) optimise existing hospital and community capacity; (ii) develop internal capability and process improvement and (iii) improve leadership, governance, planning and oversight. This comes on top of measures already taken in Budget 2015, when the Government provided €25 million to support services that provide alternatives to, and relieve pressure on, acute hospitals. Maternity services in Ireland are experiencing an extremely troublesome period. Tragic incidents specific to Irish maternity care are consistently exposed in the media. This chapter provides a brief overview of open disclosure, identifies international case studies, and shares key practical points of learning gained in the early days of openness in Ireland. This book is available in the INMO Library for reference. 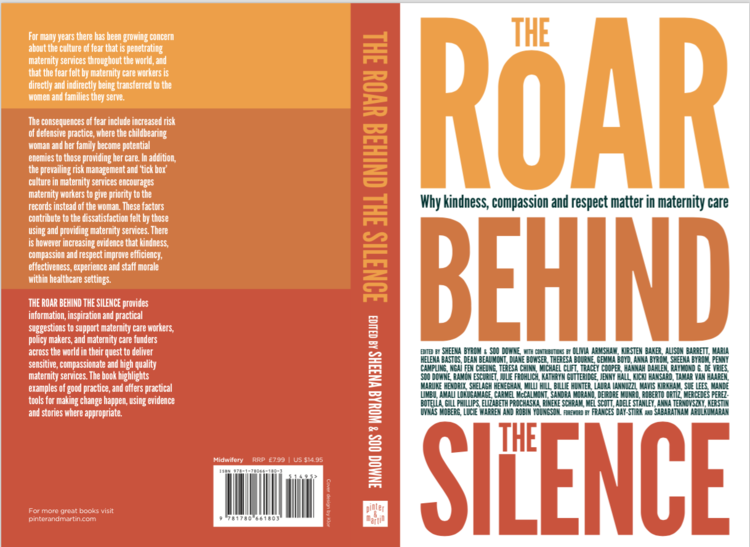 Please contact us directly for a copy of this chapter. On 5 May, to mark the International Day of the Midwife, the NMBI launched its new edition of the Practice Standards for Midwives. 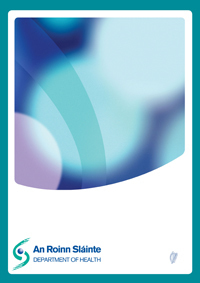 The last edition was published in 2010 and this update will take into account the Nurses and Midwives Act, 2011. This will be available online from the NMBI's website. Background. Documentation is an essential part of nursing. It provides evidence that care has been carried out and contains important information to enhance the quality and continuity of care. Person-centred care (PCC) is an approach to care that is underpinned by mutual respect and the development of a therapeutic relationship between the patient and nurse. It is a core principle in standards for residential care settings for older people and is beneficial for both patients and staff (International Practice Development in Nursing and Healthcare, Chichester, Blackwell, 2008 and The Implementation of a Model of Person-Centred Practice in Older Person Settings, Dublin, Health Service Executive, 2010a). However, the literature suggests a lack of person-centredness within nursing documentation (International Journal of Older People Nursing 2, 2007, 263 and The Implementation of a Model of Person-Centred Practice in Older Person Settings, Dublin, Health Service Executive, 2010a). Results. Findings indicated that many nursing records were incomplete, and information regarding psychosocial aspects of care was infrequent. There was evidence that nurses engaged with residents and worked with their beliefs and values. However, nursing documentation was not completed in consultation with the patient, and there was little to suggest that patients were involved in decisions relating to their care. Implications for practice. The structure of nursing documentation can be a major obstacle to the recording of PCC and appropriate care planning. Documentation that is focused on the ‘person’ will contribute to a more meaningful relationship between nurses and residents. Giltenane, M; et al (2015) 'Public health nurses’ (PHNs) experiences of their role as part of a primary care team (PCT) in Ireland', Australian Journal of Advanced Nursing , 32(3), pp. 6-15. Objective. This study aimed to understand public health nurses’ (PHNs) views and experiences of their role as part of a primary care team (PCT) and developments within primary care. Findings. Three super-ordinate themes representing the study participants’ lived experience and meanings of PCT involvement were interpreted. ‘We are a team’ represents mostly positive experiences of being part of a team such as improved communication and teamwork. However, GP non-attendance at PCT meetings was also highlighted by all the PHNs. ‘Pushed to the limit’ revealed the PHNs’ frustrations attributed to lack of resources. In addition, this theme represented PHNs’ views of always having to ‘take up the slack’ within the team. Finally, ‘PHN’s role’ revealed that the health promotion aspect of the PHNs’ job was perceived to have been ‘pushed aside’, and mixed feelings around PHNs’ future role were relayed. Conclusion. The findings contribute to the knowledge of PHNs’ roles as part of PCT developments and highlight the need for more dialogue among PCTs on all roles within the team. It is clear that more resources for PHNs in Ireland are needed if they are to fulfil a vision of primary care. In addition, the study findings point to a need to investigate whether policy and practice changes introduced with the introduction of PCTs has improved patient outcomes. Occupational Health Nurses Conference, Wednesday, 20 May 2015, Cork. Telephone Triage Nurses Section Annual Conference, Wednesday 30 September, Castletroy Park Hotel, Limerick. All Ireland Annual Midwifery Conference on Thursday 15 October in the Armagh City Hotel. You are receiving this email because of your relationship with INMO. Please reconfirm your interest in receiving email from us. If you do not wish to receive any more emails, you can unsubscribe here.